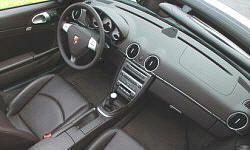 Porsche Boxster Cargo Capacity Pros and Cons | Page 1 of 1 | Why Not This Car? Hard to believe, right? 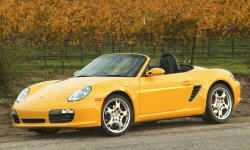 But when comparing 2-seat roadsters, the Boxster&#039;s TWO trunks put other roadsters to shame. With two trunks, the Boxster is actually great for traveling and shopping. I can put two propane tanks, or a rollaboard suitcase, in the front trunk alone! VERY important (one of key reasons we purchased.) With 2 trunks we can load up the car for a weekend of camping or climbing or just getting away. Competitors all had tiny storage space.